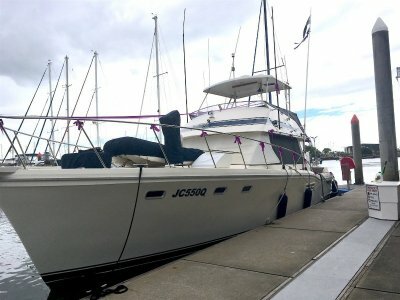 This sort-after Flybridge Mariner 43 has been well cared for during current owners stewardship along with previous first owner. She has the twin helms with engine controls. One on flybridge where most of the nav gear is located and one to starboard forward of the large saloon. One of the highlights . . . Currently located in Lefkada Greece - Let the ADVENTURE begin! The LEGEND that kick started long distance cruising on power boats. 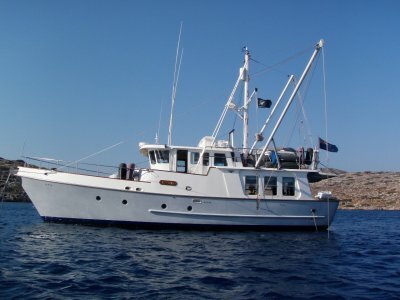 From the beginning, the Nordhavn 46 has stood out from all other "trawler yachts". There is nothing on the market that can compare to it's offshore . 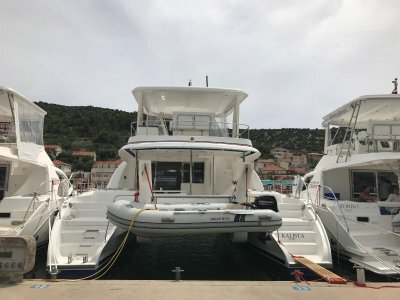 . .
Leopard Power Catamaran 47 is currently moored in the popular Mediterrean cruising location of Croatia. If you love entertaining, comfort, stability at anchor and underway, and above all quality this is the Catamaran for you. 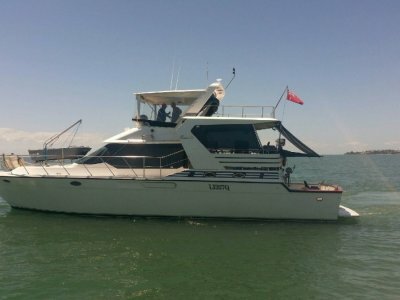 Designed by Morelli and Melvin, and launched in 2012 this vessel is a . . .
'THE BAY BIRD' is a professionally built power cruiser, possessing a Moreton Bay design style that is well suited for close coastal, bay cruising, sports fishing and appropriate longer passages. 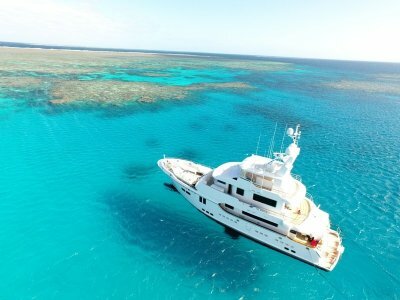 She is well known up and down the coasts of Qld and NSW. With her long history, the vessel has . 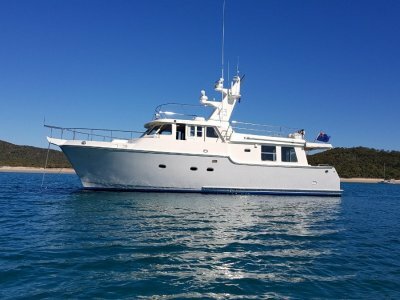 . .
For the astute buyer, this well maintained Nordhavn is ready in all aspects, to cruise both the tropical waters of northern Australia and beyond, or head south for some of the best cruising in the world around our southern coastline and then across to NZ. Australian Taxes have been paid and vessel . . .
Mariner Sea Ranger Flybridge Aft Cockpit Cruiser. Mariner Sea Ranger's offer great sea-keeping capabilities and are very quiet and comfortable while underway. She has the rear cockpit for the fishing enthusiasts and a large fly-bridge with rear deck over saloon/cockpit for the outdoor entertainers. Internally she is well set up with owners . 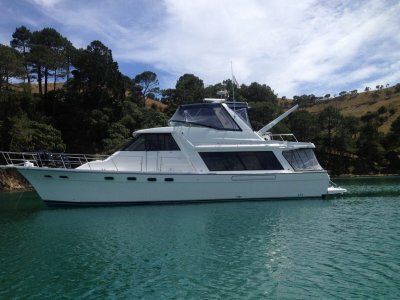 . .
A very rare opportunity presents for the astute Powercat buyer. This 2018 model Demo boat is available inmmediately at the 2018 SPECIAL OFFER pricing. This will be a huge saving on the new build price for the next available hull in mid -2019. 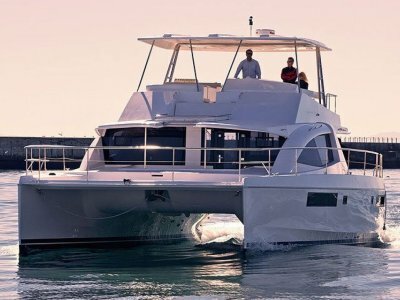 The Leopard 51 Powercat brings with it a multitude . 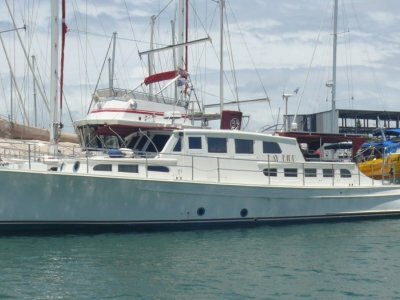 . .
Large Flybridge Cruiser This sort-after Flybridge Cruiser has been well maintained by the current owner who is a experienced professional captain/chief engineer. Every system on the boat is amazingly documented. 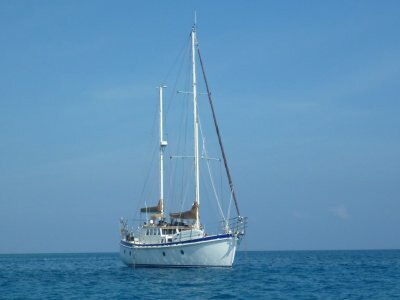 If you are looking for a very comfortable, liveaboard, large coastal cruiser, with a . . . 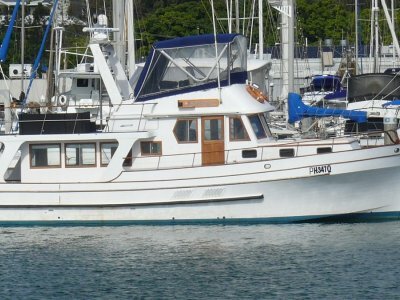 Built in Southern California USA, Navigator had an award winning design with the 53 Classic. A purpose built pilothouse yacht whose combination of luxury accommodations great looks hit the sweet spot with boaters on both coasts of the US. Built on a solid Fibreglass hull with an integral swim . . .
Bayliner 4788 Pilothouse w/ the preferred 370 Cummins Diesels. Arguably the best big-boat value ever, the Bayliner 4788 Pilothouse is a restyled and lengthened version of the popular 4550/4588 Pilothouse produced from 1984-93. Aside from the additional two feet of hull length, Bayliner designers . . .
For over 40 years the Azimut-Benetti group have led the way in luxury performance flybridge motor yachts. 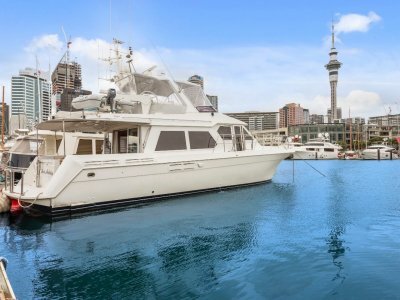 The Azimut 58 Flybridge is renowned for incredible styling and luxury accommodations. 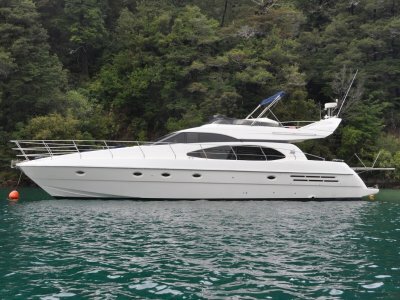 This particular Azimut 58 Flybridge has had three owners since new, with a full time Skipper onboard . . .
AMANTE was custom built by Delta Marine in Seattle Washington USA and launched in 1993. In 1984 Delta Marine was approached by a client and asked to build a "yacht" quality ocean passagemaker based on the the powerful lines of Delta's Alaska commercial seiner hull for a dream of a . . . 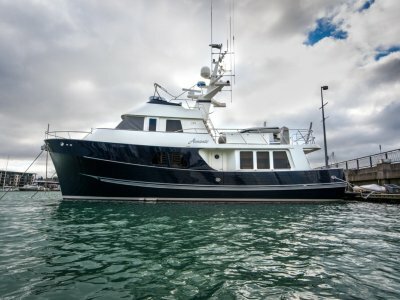 MYSTIC TIDE is one of the finest Nordhavn 86's built. She is hull #04, and was built with a master stateroom up on the sky lounge deck, like most yachts in the 150'range. Just aft of the master is a private owner's balcony with ample room for lounge chairs. Her overall size and . . .